Jet Blue www.jetblue.com is an American low fare airline that distinguishes itself from other low fare airlines by offering amenities. Is it publicly traded NASDAQ:JBLU. With a fleet numbering over 216 and destinations growing from 97 there are over 18,000 Jet Blue employees. Revenues in 2014 were reported as over US 5.8 billion. If you have a problem with a Jet Blue flight, call 1-800-538-2583. An informative and helpful Contact us page is found here. If you would like to contact the CEO, Robin Hayes, you may address your postal correspondence with new corporate address of Jet Blue, 27-01 Queens Plaza North, Long Island City, New York 11101. The corporate office phone number is 718-286-7900. ‘You Above All’ is the corporate slogan and David Needleman founded, then called ‘New Air’, in 1998. The first flight was in 2000. Social presence may be found on Facebook, Twitter, Instagram and funny/poignant Kinda Human video YouTube. 04/14---Flight 1371---My flight was canceled with American Airline. I saw a flight on Jet blue from NY to FLL, it was delayed and I saw on the internet the cost was 278.00. My brother book the flight for me but got the wrong date 04/21 not 04/14. Jet blue refunded the money and Res said they would honor the cheepest price early $334.00 one way and I agreed to the price. Reservation said hold on I have to get approved, I held for a very long time. I have good news I can book on the flight for $334.00 but we are sold out. I said I'm at the ticket counter they have 8 seats. She said I'm sorry we are sold out. The ticket counter told me to call back, I called reservation back but they would not book me on the flight and I was unable to secure the flight online, we tried for a long time. After an hour of going back an fought. The ticket counter book the flight for me and it cost almost 1300 instead of 556/ one way or $668. I have traveled for years both as a non-rev and paid passanger and I have never had such a horrible experiene with and airline on purchasing a ticket. The ticket counter told me call Res because I showed him the cheaper fare online. Please keep your word and honor a refund on the difference I had to pay because reservation lied to me and would not book my flight. The ticket count appologised to me for the horrible experience and I had to purchase my ticket at the ticket counter. I am starting here and will not include the department of transport with this complaint because I want to give the airline an opportunity to make this right. I have not had an issue with Jet Blue until now. I am hoping that you will resolve this issue so that my family and I will continue to use Jet Blue for all of our travel. On 02/03/2019 my husband and I took our first flight on JetBlue out of Newark Airport to Orlando Florida Conf #IEIQEC Flight #6928. This was the easiest check in we ever had. On 3/7/2019 we had a return flight out of Orlando to Newark airport Flight #928. We arrived at 11AM scheduled to leave at 1:18 PM. As usual our check in was great but unfortunately it went downhill from there. We were told our flight was delayed to 2:00PM and were told to wait at Gate 5..When we arrived there it was crowded and all seats were taken.as there aren't many seats at that gate. We decided to sit directly across at Gate 6 which had some room. My husband asked twice at Gate 5 if the flight was leaving on time at 2;00 PM and was told they weren't sure yet. As there was no announcement made, at 2:10PM I went to Gate 5 to find out if they had any idea what time the plane would be leaving but there was no one there so I asked at Gate 7 if they had any information. I was told the plane had left at 2:00PM. Needless to say I was shocked as we had never heard any announcement that the flight to Newark was leaving and passengers were asked to board. She also said our names were called twice. Understandably I was really upset because neither my husband nor I heard any announcements Both of us have good hearing and heard announcements for boarding for Port au Prince, Albany, Hartford and others. We also heard gate changes for other flights. Announcements may have been made only to the people sitting at Gate 5. We are frequent fliers and have never missed a flight or been late getting to the airport. One of the problems is that many personnel don't speak English clearly. We were told to go to JUST ASK where Jaime gave us seats on the next flight leaving at 3:39PM #828. After waiting about 10 mins.Jetblue posted a delay to 4:20PM. Half hour later they posted another delay to 5:20PM. At that point we would be waiting in the airport 6 1/2 hrs. At some point I looked on my phone and saw a message from Jetblue saying that #928 departed Orlando Airport at 2:43PM. I couldn't understand how that happened. We finally departed at 5:45PM after sitting on the tarmac 20 minutes. We didnt arrive at Newark til after 8:00PM. It seems that maybe Jetblue #928 was overbooked and never called our names over the loudspeaker and just boarded two stand by passengers who were waiting and it was done to make things go faster so they could leave on time. 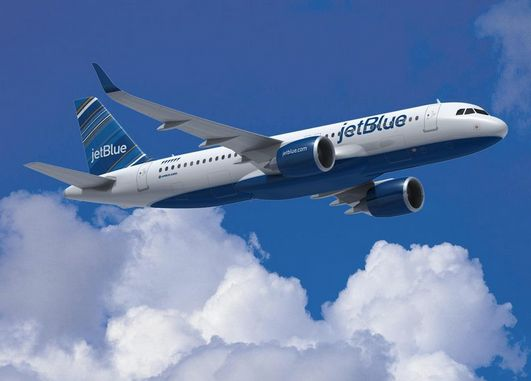 We had always heard good things about Jetblue and were looking forward to flying with you, however, our experience that day was disappointing and left us with a terrible impression of Jetblue. CHEKIN COUNTER AT WEST PALM AIRPORT, FRIDAY 3/22/19.FOR FLIGHT#1044. i OVERHEARD THE ATTENDANT .CAROLYN GILDE,TO THE LEFT OF MY CHECKIN ATTENDANT , IN A LOUD VOICE, SAY THE "KNUCKLE HEAD" IS COMING. AND THEN SAID THE PRESIDENT. I WAS SHOCKED AND ASKED HER IF SHE JUST CALLED THE PRESIDENT OF THE UNITED STATES A "KNUCKLE HEAD". SHE RESPONDED THAT SHE WAS NOT TALKING TO ME. I TOLD HER THE OFFICE OF THE UNITED STATES PRESIDENT SHOULD BE RESPECTED. SHE RESPONDED SHE WAS NOT A TRUMPER. I RESPONDED THAT IT DID NOT MATTER WHAT PARTY YOU ENDORSE, IT IS THE OFFICE THAT REQUIRES RESPECT. I WAS TOTALLY SHOCKED AT HER BEHAVIOR, ESPECIALLY IN FRONT OF SUCH A LARGE CROWD.I ASKED FOR THE COUNTER MANAGER AND SPOKE TO MARCIA RADCLIFF. TOLD HER WHAT HAD HAPPENED AND SHE AGREED IT WAS INAPPROPRIATE BEHAVIOR. I COU;LD NOT GO WITHOUT REPORTING THIS UNFORTUNATE INCIDENT. CAROLYN GILDE WAS RUDE AND TOTALLY UNAWARE OF HER INAPPROPRIATE BEHAVIOR. IN ALL THE MANY YEARS I HAVE TRAVELED ON JET BLUE, I HAVE ALWAYS HAD CONSIDERATE JET BLUE EMPLOYEES. CAROLY GILDE DOES NOT REFLECT JET BLUE POLICY. SHE UPSET ME AND MY HUSBAND, NOT ONLY BY WHAT SHE SAID, BUT BY HER ATTITUDE WITH A CUSTOMER. A JET BLUE FLIGH LEAVING JFK AT 10:30 Pm..
WE Arrived at JFK at gate #1. LATER WENT OVER TO GATE 18 FOR THE FLIGHT TO BUFFALO. NY. WE SAT THEIR UNTIL 10pm WHEN ANOTHER PASAGER DISCOVERED IT WAS LEAVING AT GATE 3. IT WAS A LONG WALK GETTING TO GATE 3 I AM 83 YEARS OLD. THIS WAS TOTALLY DISCUSSING AND UNCARING .JET BLUE HAS ALWAYS HAD GOOD CUSTOMER SERVICE. I was on flight 480 March 24th from Jamaica, Montego Bay to JFK. I was in seat 10B, and the air condition vent over my seat was leaking water. February 2nd I took a flight direct from Boston to Barbados When I got to my destination I could not find my purse I file a lost and found report the next, It hard to believe that my purse was not found on a direct flight For two weeks I was upset unhappy and did not enjoy my vacation. My lost include credit cards, driver incense, health Insurance cards, other personal stuff and a small amount of money. that is how much I enjoy my vacation . I returned on February 18th from Barbados to New York my flight delay, my flight New York to Boston10:50pm arrive in Boston 1:30am after waiting another hour to find to find my luggage which was left in New York. I left the airport at 2:45am . The person that was picking me up from the left because flight got in late . I finally I got home at 3:15am by paying a taxi , Had leave for work at 5am, never receive my luggage till after 9pm the night I had throw away stuff I brought back . I got no refund for flight delayed , luggage missing over 24hours and lost my purse. I am still very upset over the situation and no one reach to apologize or no refund of any kind . I travel with jet blue for five time last year all five time flight was delayed . I slept in the airport in New York because flight got at 2am of course was delay and got no refund I would like if some could take time to review incident that occurred so often. .
this is ridiculous we suppose to be flying out to phoenix from NYC (JFK) on 7:00pm on Sunday 3rd of march, after 4 and half hours they keep telling that the flight attendant needs to be assigned to the flight????????? this is sad and very irresponsible. they are wasting 200 peoples time and don't even bother to first make a reasonable prediction of the status of the flight and secondly find a flight attendant in reasonable time period. there are no words to describe this situation?! Out flight from Vegas was cancelled do to weather in NY on jan19. However there was 0 accumulation of snow. Manage travel on website was not available we had to contact representative by phone who could only get us a flight to jfk 4 days later. This is not a reasonable amount of time to get on next available flight.This caused a huge financial burden. 4 nights of hotels, car rental 3 days work and additional parking per day in NY. We never even received credit for our $30 checked bag on cancelled flight as of 2/24. JetBlue was always 1st option for flying for us but they really dropped the ball this time. Our flt was cancelled & changed without notification from 11 to 11;35, then 12:00. Plane arrived at 12:00. At 1;00 we were informed that they had to get a new plane due to vomiting passengers, this would take 2 1/2-3 hrs. After 1 1/2 hrs we boarded original cleaned up plane. Our original reservation we were in seats 9D & E. New plane we were in 19E & F. We always get aisle & middle because we need to get up numerous times to walk around & use the rest rooms. Even more annoying the TV didn't work in 19E. Due to the delays our rental car was cancelled since they only hold the reservation for 2 hrs and we were delaied 4hrs. Because of this we had to get a new reservation which cost us $175 more for each car. We left home at 8:30AM Thurs. Jan. 24th and arrived at our hotel at 9:30PM. The hotel (which we also booked through JetBlue pkg.) honored our reservation but no longer had an ocean view room for us. Rm was bad too. 2 lights in the bathroom/closet area did not work. Closet (without doors) was physically in the bathroom so clothes felt damp after showering. Shower and sink backed up and would not drain so you were standing in 2-3 inches of water during showering. There were no glasses or cups, no soap dish, no laundry bags, pads or pencils & the safe was locked shut. The front desk said it would fix everything in the morning. We left for the day at 9:15 Returned at 3 nothing had been done. We called again & finally got light fixed & maintenance tried to fix the shower and sink. Never able to fix safe. Housekeeping brought garbage bags to use as laundry bags and 2 mismatched glasses. We were told that only the suites get glasses and no one gets soap dishes. That day room never was cleaned and no new towels were brought. 2nd day room was cleaned but again no new towels & used ones never taken. Left note to take towels. 3rd night same ,no new towels used ones remained. By the 4th day we were ready to leave. Went to see hotel manager. We wanted to check out and get a refund.He had us explain everything to maintenance & housekeeping managers, then offered us upgrade to rm we originally requested, ocean front. We decided to give it a try. New rm was bigger, closet was in rm not bathroom, sink was much smaller, there was a lot less drawer space, sink & shower drained, but there was no shelf in the shower to put either soap or shampoo. We did get glasses, cups,& towels. The shower had glass enclosure but it was only 1/2 way. There was also a window in the bathroom which was very nice but it looked out into another hotel room and did not have a curtain. We had to cover it with a towel for privacy. The new rm was cleaned every day, used towels taken and new ones brought. My husband and I have used your pkgs and have flown Jetblue many, many times. I have to say this was the worst experience we've ever had. Lastly we were charged $10 a day for each car for the 14 days we were there. that's an additional $280. This was never mentioned when we made the reservation. Also we were charged $224 at the hotel for Florida taxes. I thought all taxws & fees were included in the price. They also informed us that this was considered a 3rd party reservation because you used Expedia to book it. Had I known that I could have booked it myself and not have gone through Jetblue. The hotel was The Ocean Manor Beach Hotel, Galt Ocean Drive, Ft. Lauderdale, Florida. Our names are: Veda & Lester Klein. Our Trueblue #'s are:2013476985 & 2013473526. We flew from JFK on Jan. 24th To FLL & returned from FLL to JFK on Feb. 7th. My phone #, if you would like to reach me is 516-524-1629. Thankyou for your understanding. 2 passengers flying from North Eleuthera Airport on Silver Airlines January 13th were denied boarding. No one was at the Silver Air desk to check them in...all our questions went unanswered...left waiting around until we were told that the pilot would not let us on the flight. Had to re-book the trip for the following day. I booked a flight from Boston to Tampa conf. # qexjhf. I booked on line and there was a glitch. A very nice customer representative helped out when I called. she continue to the booking and gave me the phone number to book the insurance because she couldn't. She booked the seat everything was all set. When I went in the next day the seats showed still available. I called and the representative told me I had not booked the seats. I had am email confirming the seats. My point is what if I had not checked. What would I have done. I wrote a concern but nobody every replied to me. I think this could be a potential problem if I didn't check. I was on flight 865 1/24/19 from Boston to Ft Myers. The flight attendant Raymond was rude and spoke to me in a demeaning manner. I could not put my laptop overhead (seat 2E) as it was closed. Neither passenger in the row with me had used the overhead. Raymond told me it was full. I asked why passengers are allowed use overheads where somebody else is sitting. Ray's response to me was," Listen sweetie the overheads are for all passengers not just you. When I asked Ray if he really called me sweetie he nodded his head yes and then stated," that's right sweetie'. This was heard by other passengers. The woman beside me was horrified at Ray's comments to me. I do not need to tell you how inappropriate his comments were. This should not be tolerated by jet blue. I felt intimidated and spent the rest of the flight anxious and upset. I do not think Ray would have spoken to me that way if I was with my husband or sons. My husband is very angry about the way I was treated. No woman or any passenger should be spoken to with such disrespect and degradation. I chose to go through the proper channels rather than the media as many others would have done in my position. I would appreciate a response from jet blue as to what actions taken to ensure that Raymond never speaks to another female passenger like this again. I was on JetBlue Flight 1710 on Jan. 01/01/2019 from P-A-P to FLL. I was about to use the restroom when it was announced for passengers to return to their seats. I complied; nevertheless, when the plane reached its terminal, given that I was in seat 23B, I waited for the passengers to deplane before I could urinate; I was appalled when a flight attendant with a Jamaican accent stop me from using the toilet after the rear of the plane was cleared, claiming that it was being cleaned. I deplaned in awe. Unfortunately, before I could reach the airport toilet, I urinated on myself. Imagine how I felt. How would you feel if any of you were in my shoes? I understand now what bringing HUMANITY to air travel its all about and means! I experienced it first hand! What a surprise! This is my last time ever flying JetBlue, unless the incident is remediated. My worst Blue moment ever. Thanks HUMANELY!!!! On Flight 1562 from Bridgetown, Barbados to JFK was very poorly organized. Boarding Time was 7:11PM on January 7, 2019. The passengers did not board the plane until approx. half an hour later, a clear indication that the flight would be late, then unfortunately we sat on the tar mat for 1 1/2 hrs. while technicians tried to rectify a wiring issue on the plane. Finally we were asked to disembark the plane and go back to the terminal with our luggage because they had to power down the plane and fix the problem before starting again. In the mean time texts to my family and friends were conducted with great worry as to what was going to happen whilst the plane take off and the condition of their family member, coming back to the airport to get them or if they were going to be accommodated in my stay over if any. I missed my pick up at the JFK Airport once I had already given them a pickup time for me and had to reschedule another one when I got there which is extra frustration. This experience was not a pleasant one for me since it was mentally and physically exhausting. This is the second one for me at night but the worst of them all. It was very stressful and unpredictable. This leaves a bad taste in my mouth.I am having second thoughts about flying this carrier again if something isn't done about it. I even had problems locating my luggage because employees didn't know their job and directed me to wrong carousels. I would appreciate if someone in charge gets back to me regarding some compensatory method due to my inconveniences. I am sure that you will be hearing from others on the same flight. I would like to take the opportunity to express a concern regarding a recent trip (Flight # 583) on December 15, 2018. I departed from NYC JFK at 6:06am which arrived at MCO- Orlando Florida at 8:57am, same day. I had a red carry on suitcase. Upon arriving to Florida a male flight attendant helped me with my carry on. I immediately noticed that it was not my suitcase. I informed the attendant right away. Sadly, he was not helpful, he did not advise me what to do next. He rushed me off the plane and said "lady you have to get off the plane". I find this extremely disturbing because I know Jet Blue has a wonderful reputation of quality customer service. In addition, the flight attendance words were extremely rude and disrespectful. I am a senior citizen and a productive member of society. I came on vacation to enjoy time with my grandchildren and felt that this was a poor start to my vacation. Losing a suitcase is distressing and I should have been treated with proper customer service care. I took it upon myself to figure out the next step. However, I am a paying customer who should've been treated with more dignity. I hope that this email could benefit others that find themselves in such a terrible state. I also hope that the flight attendant would be held accountable (certainly not terminated) or corrected for his lack of patience with a senior citizen. I was on flight 1168 yesterday, there were two flight attendants. I reported to the male flight attendant that my seat 20C did not go back, he said he would report it to the Captain. I was fine with his response. However, there was a female flight attendant. When beverages were being handed out I most likely had dozed off. Not her problem but when she came around with the snacks, I asked her for a napkin. Her response "I don't have one." The Jetblue Gate Staff for this flight denied boarding to my sister on Saturday afternoon 13 October 2018 (Flt 1993 ) simply because he failed to understand a very simple FAA & Jetblue directive with respect to the mandate for passengers with Portable Oxygen Concentrators (POC) that they must have battery supply to cover 150% of the anticipated flying time. The Jetblue mandate is: Customers using Portable Oxygen Concentrators must have a sufficient number of fully charged batteries plus 50% extra battery time for the flight to cover any unforeseen delays. The nincompoop Agent has interpreted that statement to require "MORE THAN ONE BATTERY" ! Several Flight Crew gave the go ahead to board my sister as she had one battery with over 150% of battery time for the 45 minute flight time. The gate Agent said that her two aides could board but she would have to stay !!!! Hello ??????? He would NOT eacalate the matter to a supervisor and eventually left the scene. No refund of ticket cost offered, just another ticket someday ?????? WOW who is going to fly Jetblue having been treated like a dog. On the 9/21/18, 2:35pm, #5126 Cape Air , Jet Blue arranged connection from BHB-BOS flight. Thought you would be interested in my experience in watching our pilot, your employee Mohammed, yawning about 10 times after he put plane on Auto pilot, then shutting his eyes repeatedly for the next 20 minutes or so. He seemed to nod off long enough to appear to be asleep as his head bobbed with eyes closed. I was in copilot spot so I had a direct view of his eyes behind sunglasses. I wiggled around to stir him awake as he fell asleep off and on. He fell asleep off and on between 3pm -3:20pm while on auto pilot. He was awake from #;25p through the landing. Scary for me as I didn't know if protocol is to sleep on Auto pilot or an infraction of FAA. Probable the latter when there isn't a trained copilot. I talked to the pilot after the flight privately. I suggested he cancel the flight rather than fly, yawn and sleep. He said he was resting his eyes by shutting them and never fell asleep. Thats certainly debatable but he appeared to have nodded off and I was definitely a worried passenger for my safety as was another passenger who disclosed worry to me after the flight while we entered the terminal. Jet Blue is a very inconsiderate airline. I’ve never seen a lack of consideration in my flying time. On our 8-2-18 flight 479 from JFK to Montego Bay we sat on tarmac for 3.5 hours awaiting weather clearance and waiting for someone to figure out which way to go? We ran out of time on tarmac and had to replace pilots. Again and again and again, “well folks were still awaiting clearance” and no results. Once back at the gate we were advised by crew we could deplane and use restrooms in terminal or get a quick bite to eat, but take your passports with you. When people returned to boarding gate people could not get back on the flight due doors being locked? It became rather testy with gate personnel and could have escalated without too much discussion. People were furious with Jet Blue personnel and rightfully so. Again attitude! Finally after replacing pilots we took off, again 3.5 hours later. We lost $375.00 worth of hotel perks in Jamaica due to poor handling of this part of trip. No considerations were offered on flight except chip and peanuts, no beverages offered except soft drinks. Those that paid to fly and not sit on runway were thoroughly perturbed as were my wife and self! That’s not bad enough but on our return to JFK and getting on flight 81 to Reno we were confronted with another equally frustrating and even more troubling to many, many passengers with yapping little dog for 1 hour and 20 minutes while again on tarmac awaiting take off. The stewards did nothing to quell the situation except to ask if someone had doggie tranquilizer. We offered Benadryl but dog owners would not use. After takeoff the mutt kept it up and nothing was done by crew!!!!! Off and on barking yapping all the way to Reno for 5 hours. Asked the stewards more than once and they say there’s nothing they can do!!!!! I will never suggest to anyone they use Jet Blue for any reason. Just in plain terms your policy or ability to handle the inconveniences that can be controlled with simple customer solutions wasn’t present. Customer is first priority and yapping dogs should be controlled along with owners. Put them both in restroom and shut door! Oh yah no TV or video the whole way to Reno! Not even head phones without asking or suggestions. Let’s also state the stewards on both flights to Jamaica and return to Reno need to go back to school on people skills. Not that all are bad but most seem to have attitudes of not even offering a smile or caring. Just a terrible way to run a ship? Be interesting to see if you even reply to this message. problematic in many ways, i.e. exhaustion, contacting driver to pick me up at 1:00 a.m.
two female hostesses, caring, and patient. I was so cold, they brought me a blanket. The wait at Boston airport took so long before we left. If I had known how long it was going to take to get off the ground I would have had supper. Cookies, etc. was just not enough! My itinerary # 7342436972541 July 9, 2018 - July 25, 2018 Long Beach CA to Boston and return flight Boston to Long Beach. I made reservaions on Jetblue flight #1512 out of Ft. Meyers, Florida, nonstop to Newark, NJ, on July 25th. The flight was scheduled to depart at 8:42 pm with and arrival time in Newark of 11:37 pm. Prior to leaving my hotel, I checked the status and discovered that the flight had been dealyed and the new departure time was 10:23 PM. Hence, I left my hotel later and arrived with plenty of time for the newly sceduled depature time. Some time after my arrival and check in, it was announced that there was an additional delay due to a mechanical problem with our plane. As a matter of fact, the announcer was very specific stating that there was an oil leak when the plane was off, but it appeared that the leak was not present when the plane was running. Of course this was too much information for your clients who are laypeople on airplane mechanics, especially since those of us in waiting were now distressed and uncomfortable about the plane's operation. They continued to give us updates on the mechanical problem and the waiting area which included families with young children, pets, and disabled people who continued to wait for the new departure time. During this waiting time, there were two additional departure time announcements. First, 11:03 PM and then 11:30 PM. The passengers were exhausted and distressed. Children were crying. A man with a seeing eye dog was being assisted as needed. I have pet allergies, and I began having asthma distress, so I tried to move away from the animals. Police showed up because people were becoming angry and enraged. It was bedlum, and many of us were asking for options. Those of us without a place to stay were not offered any options other than sitting and waiting. At approximately 11;40, Jetblue reps announced that the plane was decommissioned for the night and that Jetblue corporate would have to make a decision about what to do next. We were hopeful that they would find some replacement flights for those who could and hotel accommodations for thse who had no other options. This made sense, but obviously not to Jetblue. They chose to keep us there while they tried to find another plane to take us to Newark, and the new departure time became 2:30 AM. This equated to 6 hours of delay waiting in an area with crying children, exhausted passengers, barking dogs, and no real options, since those of us without a place to sleep could not leave the area, and if we went past security, we could not get back in because it was closed due to the hour. The passengers and I were extremely upset. and people were talking about contacting local newspapers regarding the poor handling of this matter. I am a Jetblue faithful client, and could not believe the horrific handling of this matter. It would appear that Jetblue cared more about saving money than the realistic care of their passengers in an event that was handled ridiculously. To make matters worse, at 2:30 AM when the new plan arrived, the Jetblue reps announced that the pilots were now too tired to fly the plane. As if they could not have figured that out hours ago!! No communication within your organizational structure whatsoever!! At this point, they stated that they were cancelling the flight. We were all up in arms. Additional police were called in for crowd control. The announcement went from cancelled to suddenly not cancelled, and a gate change was made! People could not believe their ears. Two more delays follwed this mess with announcements of a 3:00 AM then 3:30 AM departure. There were discussions about vouchers, which honestly, would have been the least you could do, but to date, I have not received a single notice, apologetic email, or voucher from you for this terrible, exhausting and horrifc experience that affected my ashtma for three following days....not to mention that I arrived in Newark at 6 AM, feeling sick and exhausted. I slept for an entire day in between taking asthma medication. You have a responsibility to your customers to make this never happen again. Additionally, we are owed financial renumeration for this, as was announced more than once by your reps as a $250.00 voucher for a future flight. Honestly, it upsets me that I had to write this to get any response at all. That shows irresponsible and unprofessional customer care on you part. If there is not an appropriate response to this complaint, and the many others I am certain you have received, I too will contact the newspaper and take to social media to warn potential customers of your horrific mishandling of this event. Although you cannot control or predict mechanical problems, your management could have handled this much more humanly and could have provided your clients with options or a place to sleep and a new flight in the morning. I fully expect your prompt response to this email and would be happy to speak directly with any of Jetblue upper management if you so desire. On June 18, 2018 I flew JB from West Plam To JFK. My Confirmation code was YVPVJT. I returned to WPB on 553, seat # 20D. The flight was good BUT.....After being served a soda, someone knocked into me from the isle and I spilled my entire drink on the young lady sitting in the center seat. Her Mother also got very wet. We had about three flight attendants. All were female but one. He was 35, tall and very bald. I requested from him napkins in order that we could all clean ourselves and the table trey and seats. He never brought us the napkins. After about 15 minutes, I again asked him and he said he would be right back. He never came back. We waited another 25 minutes while being soaked to the skin but again NOTHING. After another long time, I rang the overhead button for assistance, NO ONE answered for another fifteen minutes. FINALLY just prior to landing prep. I convinced a female flight attendant to supply us with napkins and she did no, What absolutely poor service. Thank God that this young lady and her Mother were understanding and kind. Shortly after the flight i received a message to rate the flight. I did and rated it a poorly as I could. Guess what? Never got a call or any response. I have to fly JB sometimes but will discourage friends and relatives not to do so. VERY UNHAPPY!!!! My family were traveling from Aguadilla, Puerto Rico to New York JFK on July 15, 2018. They were in a rush to get here as they needed to make sure a terminally ill family member would still be able to see them. They reserved the flight 2638 that was originally schedule to depart Puerto Rico at 12:48 pm. It not only was no longer a direct flight but it stopped over in Fort Lauderdale after leaving Puerto Rico at 3:33 pm. There was an hour wait because Jet Blue had to change pilots due to fatigue. It left Fort Lauderdale at 5:49 pm and arrived at JFK at 9:34 pm. The other issue is that we had to drive from JFK to Providence, Rhode Island where the family member was hospitalized. Of course, going from Puerto Rico to Providence was not a practical alternative as they would have arrived the next day. Nobody can question a change of pilots due to the fatigue. However, we could be livid if a flight leaves 3 hours later. What made it more egregious is that at one time everybody raved about Jet Blue airline but you fallen tremendously from those heights because we all know of your other problems. Finally, on that date, 7/15/18, there were according to your arrival monitor 72 flights. Your great airline had 46 due to arrive at least 2 to 3 hours late, 10 cancellations and the rest I guess on time. That comes to about 64% extremely late and about 14 % canceled. Only 25% of the arrivals were on time. What is up with that? All pilot fatigue? The problem is we cannot sprout wings or travel many places without flying so the airlines and you are not the only one have us by the neck so as not to use the word I really want to use. I need an explanation for all this and please do not tell me about weather, too many people, etc. We do not even get a consolation such as a check in baggage not charge. That fee you do not hesitate to charge. That is all and I do expect a response. Re: Thanks for flying with us! It was a pleasant enjoyable flight, but the only regret that I have is that, for the second time, when booking my online reservation JETBLUE claimed that the only seats available were those of $30.00 and $32.00 dollars. For my surprise on both flights there were plenty seats available besides those of $30.00 and $32.00. Please verify this unfair procedure. I didn't r got a response from JETBLUE. On flight # 2168 from West Palm Beach to Westchester Cnty, I sat in a middle seat. A person with a small dog sat next to me In the window seat. After the flight took off, the person took the dog out of the carrier and kept it out the rest of the flight, including landing. At least one attendant remarked how cute the dog was. The owner did not control the dog. It kept hitting its nose on my arm. Crawling over the arm rest, etc. I thought the policy of Jet Blue was that dogs had to remain in their carriers the whole flight. If I am right, the attendants should have enforced that policy. It was very distressing to me to sit next to this person with a dog not in the carrier. On Januaray 2nd, 2018 I was proceeding to board my flight at Loan International airport when this checker Ozzy assaulted me and push me away from the boarding doors and closed the door in my face.I missed my flight and had to call paramedics and state police. This kind of treatment is unprofessional and paying passengers should not have to be violated in any way shape of form when borading. NO CREO QUE SEA JUSTO PARA NINGUN CLIENTE QUE A ULTIMA HORA SE ENTERE DE QUE CANCELARON SU VUELO Y QUE BIEN FRESCAMENTE TE DIGAN QUE EL PROXIMO VUELO DISPONOBLE ES DENTRO DE UN MES Y QUE TIENE UNO 2 OPCIONES O LO TOMAS O CANCELAS CUANDO UNO HA ESPERADO 1 MES PARA DICHO VUELO Y EL PROXIMO DIA TRABAJA Y NO SE PODRA REPORTAR DENTRO DE UN MES A VER SI A ALGUIEN LE IMPORTA SI PIERDES O NO TU TRABAJO ES MUY INJUSTO ESTAN DEL C EN OTRAS PALABRAS SI NO PUEDEN SACAR TANTOS VUELOS DE PUERTO RICO ENTONCES NO VENDAN VUELOS COMO LOCOS SIN PODAR DAR SERVICIO PERO LO QUE TIENEN ES UN ABUSO Y COMPETENCIA A VER QUE COMPANIA VENDE MAS VUELOS SIN PODER DAR BUEN SERVICIO QUE CREO QUE DEBERIA SER LO PRIMERO Y LO LINDO QUE HASTA LOS SUPERVISORES TE DICEN QUE NO PUEDEN HACER NADA PUES DEJEN DE VENDER TANTOS PASAJES PARA QUE PUEDAN DAR UN SERVICIO BUENO PARA NO DECIR MEDIOCRE O PEOR. ME CANCELATRON 3 VUELOS HACIA PUERTO RICO PUES DIGO DEJAME NO IR LE SACO PASAJES A MI HIJA Y AMI NITO PARA QUE VENGAN DE PUERTO RICO A ORLANDO Y POR CUARTA VEZ ME CANCELAN YA ES UN ABUSO ALGUIEN DEBE TOMAR CARTAS EN ESTE ASUNTO YO TENIA ESTA COMPANIA EN ALTO PERO YA PERDIERON UN CLIENTE ADEMAS QUE JAMAS LA RECOMENDARE OTRA VEZ Y DEJARE SABER A TODO EL MUNDO EL ABUSO QUE TIENEN CON LOS CLIENTES. We fly JetBlue monthly Jfk to PBI. Plane is always delayed. No reasons provided. Severe attitude from all JB employees. For an airline once great what a pitiful down turn. JB deserves to join the other airlines in the dustpan of failure! My wife and I had a flight on Wednesday July 12, 2017 from JFK to MCO which was to leave at 3:45 pm. So we arrived at the airport at 1:15 pm unfortunately our flight was delayed several times and we did not leave till 10:40 pm. This was very upsetting to both my wife and I. We had reservation to rent a car in Orlando but because we did not arrive 7:00 pm as scheduled and arrived at 1:15 am the rental car agency did not have the car I reserved any more. So I had to take another car and then go back the next day to get the car I originally reserved. This was a very big inconvenience to my family. While we were waiting at JFK for nine and a half hours I would ask the personnel at JFK what the trouble was and all they would say is that the delays were weather related. Meanwhile the sun was shining and the skies were blue. Also there were no reports of any storms in the area. Since we were at JFK for such a long time I asked if the airline would pay or reimburse us for our lunch and dinner. I was told no with no explanation. My family and I have been travelling on JetBlue for at least ten years several times a year and the flights and personnel have always been very nice. This flight was a complete horror from the beginning to the end. I would like to hear back from you in regards to all these problems and would like to be reimbursed for the cost of my wife and my tickets. My 15 year old got his stuck in JFK from 3pm yesterday 12/17/16 until today at 3 pm after they cancel his flight 6 times. I call several times and aLlama I got from.the representative was that there's nothing we can do. No suggestions not anything. My son it's 15 I will expect someone trying to help the best they can to get him home. This has been the most horrible night I had I was not able to close my eyes knowing he was there alone. Due to Hurricane Matthew passing through Nassau on Oct 5th and 6th we were unable to travel to Orlando on Oct 8th. There for we were not on the return flight on Oct. 15th to Nassau. Our flight #241 departing at 2:53pm. would like to know if we can have compensation for another one way trip on Jet Blue. Could not contact JetBlue billing due to that we had no power no light no water and no phone, we are partly still under water with no power or light or water in some subdivisions. 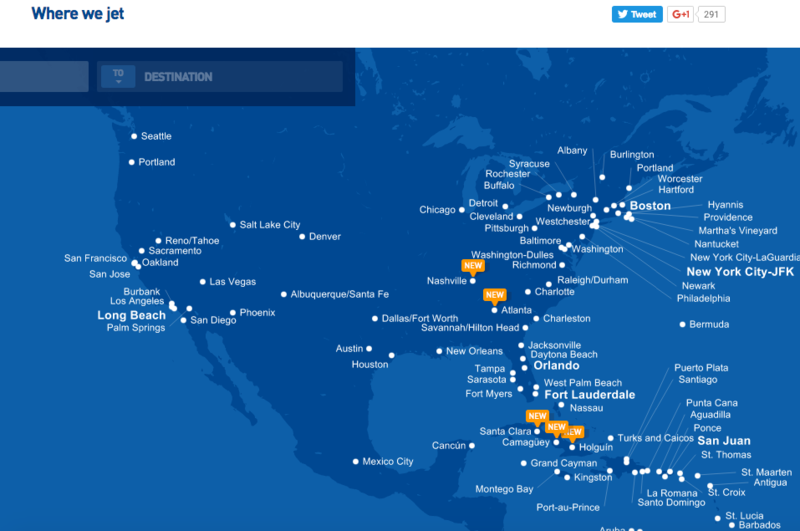 I opened up the JetBlue website to purchase a ticket for me and my Mother. After I found two tickets to New York, one way for $529 for both ticket. After I put all the information to pay the total, JetBlue charged us $593 with no explanation. The credit card went through and I found out it was for seats even that we never got to select. The website should be more clear when purchasing and I had no idea what was going on. I would like my money back and to be able to file a format complaint again this company. The confirmation number is KIUKMR and this took place on Sept 29, flight #410. On Saturday July 23,2016 my mom Janet Grant took the JetBlue flight ENOKNF #1853 (connecting flight from Jacksonville-Fort Lauderdale-Jamaica). At Jacksonville Airport she paid for her bags and were informed that she would not have to pay for the bags in Fort Lauderdale the flight from fort Lauderdale to Jamaica had a long lay over until Sunday July 24. She had to pay for her bags again in Fort Lauderdale, this is unreasonable and this is a connecting flight and she should not be charge twice for her bags, it was not her fault that they had a lay over until the following day. I hope the customer service gives speedy attention to this complaint, it will be greatly appreciated. Flight to JFK was 1.5 late for no reason, caused me to miss my Delta connection to Dublin. Called customer service and they took zero responsibility, did absolutely nothing to help me. JetBlue stranded me in JFK for 22 hours, did not cover hotel room, food or taxi, $300 cost to change my Delta flight. Worst of all I missed an entire day of our global summit in Dublin! On April 1st. we had to get up at 3am to get a taxi to the airport to catch our 6am jetBlue flight from Orlando Fl. to Philadelphia PA. at about 5:30 they said we would be delayed due to crew availability. We were delayed for over an hour. We finally boarded about 7:30 we missed next flight to Cleveland which our car was parked. They put me and my granddaughter who 7 years old on standby. We went to the customer service counter and they were very rude to us and would not help just told us we had to wait we had not ate all day we were tired and hungry they did not care. They gave a women a food voucher and one hundred dollars off her next flight. She was traveling alone. We finally got a flight out at 4pm and got in Cleveland 5:30. I do not think we were treated fair. I had a JetBlue flight today at 1:49 from ft. lauder to jfk, we call flight was on time, checked in flight on time, flight delayed one hour, flight delayed 5:00, flight delayed 10:00. I was traveling with my daughter and 4 young kids, plus my leg had a brace my knee was broken. No one told us anything, your workers were rude. I also saw your worker yelling at customers. I paid good money for my flight. I expected to be updated to what’s going on. I am really disappointed how jet blue handles a problem. After five hours sitting in the airport with four little kids, then hearing we would not take off until ten, we changed our flight. Not to mention the cab fares we had to pay back and forth, then again on Sunday. And the real slap in the face after delaying our flight until ten the plane left at six. I cannot believe I could have been home already. How could no one know what is going on and you do not keep your customers informed. You turned my vacation into a vacation from hell. I will end my JetBlue credit card and apply for a delta card. Thank you for a ruining my vacation. This was a seventy-five dollar credit is a slap in the face. And to top it all off, I called the JetBlue customer service phone number and they hung up on me. I called Jetblue customer service to change an error on their end and refused to make changes unless I paid when it was the customers rep mistake. I did not check my email for reservations relying that the rep did her job correctly which she did not. Called and spoke to rep and supervisor and they did not budge. Don't recommend this airline to anyone, should of stuck with continental. I never had a problem with them and they are always helpful. Flight # 1532 confirmation RBLEAY date September 5, 2015. Departure Cartagena Colombia arrival New York JFK passenger Paul Martinez. Flight was delayed for two hours and I was inconvenienced from my pick up at JFK. Had to wait several hours at the airport for someone to pick me up. I would like jet blue to some how accommodate me in some way. Please get back to me a s a p in regards to this matter. Booked my flight from DC to Boston from JetBlue airlines and found the entire experience very comfortable. I must say they provide quality food on the flight and the leg room is spacious enough for the entire journey. Crew members were pleasant and helped me as I had a leg fracture and wasn't able to walk. They provided everything I needed and made me feel like a family member. The direct TV feed was excellent, food was fresh and good, seats were kept neat and tidy, flight members were attentive and alert. JetBlue is going to be my choice of travel going forward and I would give them a 5star rating. I would as well recommend this to anyone looking to travel and want their journey and travel to be comfortable and enjoyable.